Nursing is the protection, promotion, and optimization of health and abilities, prevention of illness and injury, facilitation of healing, alleviation of suffering through the diagnosis and treatment of human response, and advocacy in the care of individuals, families, groups, communities, and populations. The study was on Women's perseption of maternity care giving in Ladoke Akintola University Teaching Hospital, Osogbo, Osun State, Nigeria, West Africa. in this study, introduction was done and there was no specific objectives set to guide the work. Descriptive research study was adopted and 160 respondents were purposeively selected as sample size. Questionnaire was the instrument for data collection which was tested for validity and reliability before use. Data collected were analysed using Likert 3point scale and were presented using tables.Conclusions were made based on the findings. Recommendations and suggestions for further findings were made. 2) Emelumadu, O. F. etal (2014). Perception of quality maternity care services among women utilizing antenatal care in selected primary health facilities in Anambra State, southern Nigeria. Midwifery Jun. 18 (2) 136- 44. 3) Handerson, J., Gao, H. and Redshaw, M. (2013). BMC pregnancy and child birth (2013), 13: 196. http://biomedicentral.com/1471-2393/196. viewed 26/9/14. 4) Nisar, N., and White, F. (2008). Factors affecting utilization of antenatal care among reproductive age group women (15-49years) in an urban squatter settlement of Karachi. http:jpma.org.pk/full-article-text.php? Viewed 26/9/14. 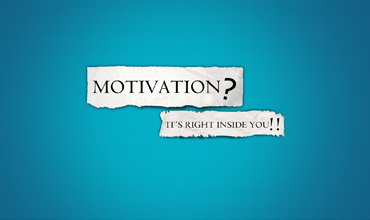 This review critiques the article ‘WORK MOTIVATION THEORY AND RESEARCH AT THE DAWN OF THE TWENTY-FIRST CENTURY’ in the Journal “Annual Review of Psychology”, “Annu. Rev. Psychol. 2005. 56:485–516”. While reviewing, it will show the summary of the article. Craig C. Pinder., Gary P. Latham. (2005).,WORKMOTIVATION THEORY AND RESEARCH AT THE DAWN OF THE TWENTY-FIRST CENTURY. The longstanding high burden of obesity in African- American women and the more recent, steeper than average rise in obesity prevalence among African-American chil- dren constitute a mandate for an increased focus on obesity prevention and treatment research in African-American communities. The African-American Collaborative Obesity Research Network (AACORN) was formed to stimulate and support greater participation in framing and im-plementing the obesity research agenda by investigators who have both social and cultural grounding in African- American life experiences and obesity-related scientific ex- pertise. AACORN’s examination of obesity research agenda issues began in 2003 in conjunction with the Think Tank on Enhancing Obesity Research at the National Heart, Lung, and Blood Institute (NHLBI). 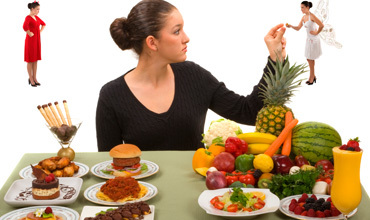 The assessment was subsequently expanded to take into account the overall NIH strategic plan for obesity research, literature reviews, and descriptions of ongoing studies. In identifying priorities, AACORN members considered the quality, quantity, focus, and contextual rele- vance of published research relevant to obesity prevention and treatment in African-American adults or children. Fifteen rec- ommended research priorities are presented in five categories adapted from the NHLBI Think Tank proceedings: health effects, social and environmental context, prevention and treat- ment, research methods, and research training and funding. These recommendations from an African-American perspec- tive build on and reinforce certain aspects of the NHLBI and overall NIH research agendas by providing more specific ra- tionale and directions on areas for enhancement in the type of research being done or in the conceptualization and implemen- tation of that research." 1) Airhihenbuwa CO, Kumanyika S, Agurs TD, Lowe A, Saunders D, Morssink CB(1996). Cultural aspects of African American eating patterns. Ethn Health, 1:245– 60. 2) Camoriano JK, Loprinzi CL, Ingle JN, Therneau TM, Krook JE, Veeder MH (1990). Weight change in women treated with adjuvant therapy or observed following mastectomy for node-positive breast cancer. J Clin Oncol, 8:1327–34. 5) Fitzgibbon ML, Blackman LR, Avellone ME(2000). The relationship between body image discrepancy and body mass index across ethnic groups. Obes Res;8:582–9. 6) Henderson VR, Kelly B. Food advertising in the age of obesity (2005). Content analysis of food advertising on general market and African American Television. J Nutr Educ Behav;37:191– 6. 7) Jones BA, Kasi SV, Curnen MG, Owens PH, Dubrow R.Severe obesity as an explanatory factor for the black/white difference in stage at diagnosis of breast cancer. Am J Epidemiol.1997;146:394–404. 8) Kahn EB, Ramsey LT, Brownson RC, et al. The effectiveness of interventions to increase physical activity (2002). A systematic review. Am J Prev Med,22(4 Suppl):73–107. 9) Liburd LC, Anderson LA, Edgar T, Jack L Jr (1999). Body size and body shape: perceptions of black women with diabetes.Diabetes Educ;25:382– 8. 10) Li FP, Stovall EL. Long-term survivors of cancer(1998). Cancer Epidemiol Biomarkers Prev,7:269 –70. 11) Moorman PG, Jones BA, Millikan RC, Hall IJ, Newman B (2001). Race, anthropometric factors, and stage at diagnosis of breast cancer. Am J Epidemiol;153:284 –91. 12) Schreiber GB, Robins M, Striegel-Moore R, Obarzanek E, Morrison JA, Wright DJ (1996). Weight modification efforts reported by black and white preadolescent girls: National Heart, Lung, and Blood Institute Growth and Health Study. Pediatrics;98:63–70. 13) Skelly AH, Samuel-Hodge C, Elasy T, Ammerman AS, Headen SW, Keyserling TC (2000). Development and testing of culturally sensitive instruments for African American women with type 2 diabetes. Diabetes Educ;26:769 –74, 776 –7. 14) Young C. Assimilation and social change dynamics in African and African American Communities (2003). Western J Black Studies;27:164 –75. This review critically reviews the article. The title is nurses’ time which they spent with patient in clinical areas for care and to see implications for theory improvement, clinical and administrative practice, and research in the Journal of Nursing Forum. 2) Melies., A.I,(2012 ).THEORETICAL NURSING: Development and Progress (ed.5th) Philadelphia, Wolters Kluwer Health | Lippincott Williams & Wilkins. [1.] Kumar, Gokhale, Jain, and Mathur. (2013) "Legal Awareness and Responsibilities of Nursing Staff in Administration of Patient Care in A Trust Hospital. "National Center for Biotechnology Information. U.S. National Library. Empirical Analysis of Nurse Retention. 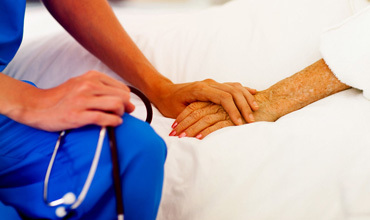 What Keeps RNS in Nursing? This paper is atheoretical critique of a quantitative research article written by Dotson, M.J, Cazier, J.Aand Spaulding, T.J entitled: An Empirical analysis of Nurse Retention. What keeps RNs in Nursing? The article discusses the importance of nurse retention to the individual organization and the health industry as a whole. Along with, it also describe the reasons why nurses walk out of the nursing profession which include: burn out, physical stress, emotional stress, and increased work load with lack of motivation. Throughout the course, Authors interviewed online 861 RNs from Southern United states and for that they prepared a questioner. The author developed an instrument which include variables such as altruism, economic factors, and value congruence which have an impact on the staff performance, this variables were pretested to modified contradictory variable according to the study. The analysis were made by using the structural equation modeling (SEM) and with that they also use Cronbach’s alpha to measure the internal consistency and the reliability of the instrument. SEM allow the comparison of various factor which conclude that the stress and value congruence both reveal the association with behavior to leave the job but the impact of altruism on behavior to leave the job is not so evident. Author’s find the stress has the major impact to leave the job. The purpose behind the study was to examine whether the value congruence and altruism would affectthe nurses turn over or not. The Author’s conclude that the factors which are important to retain nurses in jobs include: the stress reduction, Job satisfaction, value congruence, change the hiring process, and improve the work are of the organization to retain nurse for a long. My evaluation/critique of this article is a holistic interpretation of the study as an example of a quantitative research project and is based on my understandings. As a Quantitative study, author’s research usesthe questioner which was assessed by a model (S.E.M) and confirmatory factor analysis which help to reduce the error in results and make it more reliable to use. 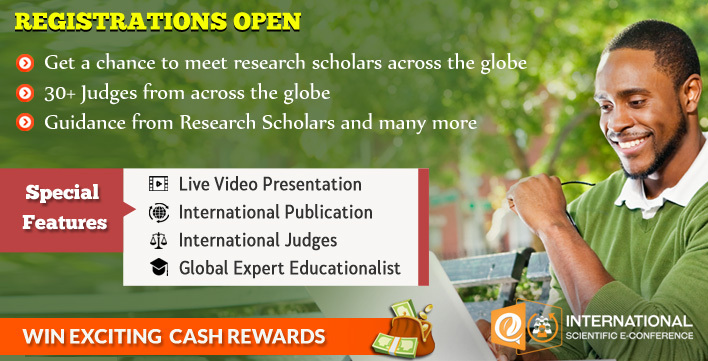 The author’s also give the proper reference of the different article which were the base to initiate the research and most of them were recent. For conclusion the author did not presents the graphical presentation of data which would have given more clear impression for the quantitative results. 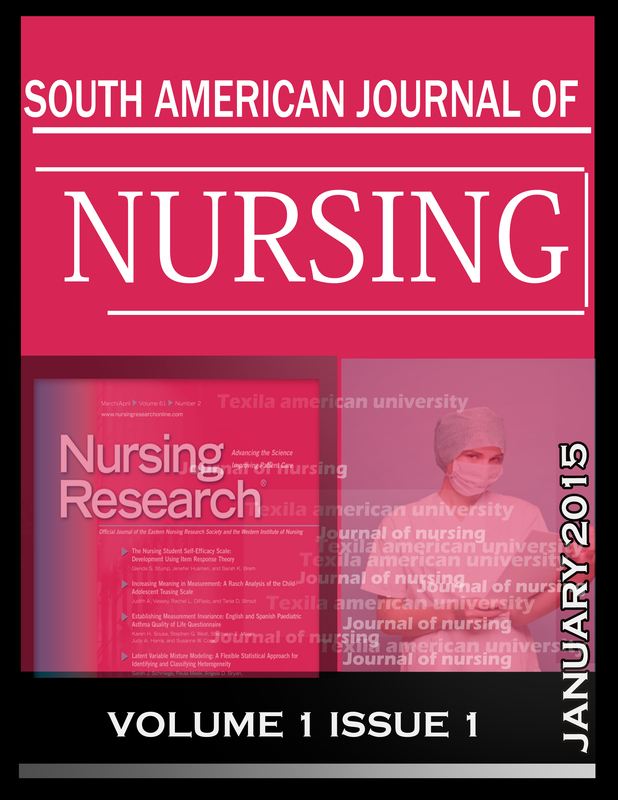 Overall the article is a literary work in terms of it critique of current research study on the factors that contributes to the retention of RNs in Health organization and profession. 1) Arnold, E &Everett ,S.B (1994) Statistical methods for investigations. (2nd ed) New York .Halsted Press. A critical review of an article on that sought evaluate the experience and perception of Ghanaian women in the use of ultrasound scan in antenatal care. A cross–sectional survey of three public hospitals in Ghana. The study used the random sampling method to select a total of 337 participants .The review a purposive sampling because the participants were chosen based on the researchers judgment of the qualifications of the respondents who undergone ultrasound scan during pregnancy and had delivered successfully, to take part in the study. The study revealed that a good percentage of pregnant women were not given any information about ultrasound scan by health workers though most of these clients perceive the usefulness of ultrasound as a tool. The study recommended the need for health workers ,midwives, sonographers and obstetricians to give information about ultrasound scan to clients before and after the interventions. 2) K ,Mensah, K, Nkyekyer & Y. Mensah (2014) The Ghana woman experience and perception of ultrasound use in Antenatal care. The Ghana Medical Journal .Vol 48 No:1 pp 31-38. This paper presents a comparative study on the relationship between implementing total quality management (TQM) and organisational characteristics (size, type of industry, type of ownership, and degree of innovation) in a newly industrialised country in South East Asia. Vietnam has become the 150th member of the World.Trade Organisation (WTO) since January 2007, and this is the first empirical studyto examine TQM practices in Vietnam. Analysis through Structural Equation Modelling, t-test and MANOVA of survey data from 222 manufacturing and service companies produced three major findings. First, this study supports previous research findings that TQM can be considered as set of practices. Second, industries in Vietnam have deployed certain TQM practices (customer focus and top management commitment) at much higher levels than others, namely information and analysis system, education and training, employee empowerment, and process management. Finally, MANOVA shows a clear difference in TQM practices by company size, industry type, and degree of innovation. Large companies had higher implementation levels across almost all practices except for teamwork and open organisation when compared to small- and medium-sized companies. TQM practices were statistically more significant in manufacturing companies compared to service companies,and firms having a higher degree of innovation also showed higher levels of TQM practice implementation.In particular, the low deployment of TQM practices in service industries,where TQM has been considered as orderqualifier,highlights the challenges for Vietnam’s service industries that pursue TQMto successfully compete in the global marketplace. 1. Ahire, S.L., & Golhar, D.Y. (2001). Quality management in large versus small firms. Journal of Small Business Management, 27, 1–13. 2. Ahire, L.S., Golhar, D.Y., & Waller, M.A. (1996). Development and validation of TQM implementation constructs. Decision Sciences, 27, 23–56. 3. Ahire, S.L., Landeros, R., & Golhar, D.Y. (1995). Total quality management: A literature review and an agenda for future research. Production and Operations Management, 4(3), 277–306. 4. Ahmed, P.K. (1998). Culture and climate for innovation. European Journal of InnovationManagement, 1(1), 30–43. 5. Anderson, J.C., & Gerbing, D.W. (1988). Structural equation modeling in practice: A review and recommended two-step approach. Psychological Bulletin, 103, 411–423. 6. Anderson, J.C., Rungtusanatham, M., & Schroeder, R.G. (1994). A theory of quality management underlying the Deming management method. Academy of Management Review, 19(3),472–509. 7. Atuahene-Gima, K. (1996). Market orientation and innovation. Journal of Business Research, 35(2),93–103. 8. Badri, M.A., Davis, D., & Davis, D. (1995). A study of measuring the critical factors of quality management. International Journal of Quality & Reliability Management, 2(2), 36–53. 9. Baldwin, J.R., & Johnson, J. (1996). Business strategies in more and less-innovative firms in Canada.Research Policy, 25(5), 785–804. 10. Beaumont, N.B., & Sohal, A.S. (1999). Quality management in Australian service industries. 11. Benchmarking: An International Journal, 6(2), 107–124. 12. Beaumont, N.B., Sohal, A.S., & Terziovski, M. (1997). Comparing quality management practices in the Australian service and manufacturing industries. International Journal of Quality &Reliability Management, 14(8), 814–833. 13. Black, A.S., & Porter, L.J. (1996). Identification of the critical factors of TQM. Decision Sciences,27(1), 1–21. 14. Carr, A.S., Leong, G.K., & Sheu, C. (2000). A study of purchasing practices in Taiwan. InternationalJournal of Operations & Production Management, 20(12), 1427–1445. 15. Choong, Y.L. (2004). Perception and development of total quality management in small manufacturers:An exploratory study in China. Journal of Small Business Management, 42(1),102–115. 17. Crosby, P.B. (1996). Quality is still free: Making quality certain in uncertain times. New York:McGraw-Hill. 18. Das, A., Paul, H., Swiersek, F.W., & Laosirihongthong, T. (2006). A measurement instrument forTQM implementation in the Thai manufacturing industry. International Journal of Innovation and Technology Management, 3(4), 1–17. 19. Dean, J.W., & Bowen, D.E. (1994). Management theory and total quality: Improving research and practice through theory development. Academy of Management Review, 19(3), 392–418. 21. D.T. Hoang et al.Deming, W.E. (1982). Quality, productivity and competitive position. Cambridge, MA: MIT Press,Massachusetts Institute of Technology, Center for Advanced Engineering Study. 22. Deming, W.E. (1986). Out of the crisis. Cambridge, MA: Massachusetts Institute of Technology,Center for Advanced Engineering Study. 23. Dow, D., Swanson, D., & Ford, S. (1999). Exploding the myth: Do all quality management practicescontribute to superior quality performance? Production and Operations Management, 8(1),1–27. 24. Evans, J., & Lindsay, W. (1993). The management and control of quality (2nd ed.). St Paul, MN:West Publishing. 25. Feigenbaum, A.V. (1951). Quality control: Principles, practice, and administration. New York:McGraw-Hill. 26. Feigenbaum, A.V. (1983). Quality control (3rd ed.). New York: McGraw-Hill. 27. Feigenbaum, A.V. (1991). Total quality control, 40th anniversary edition (3 rev ed.). New York:McGraw-Hill. 28. Feng, J., Prajogo, D.I., Tan, K.C., & Sohal, A.S. (2006). The impact of TQM practices on performance:A comparative study between Australian and Singaporean organizations. European Journal of Innovation Management, 9(3), 269–278. 29. Flynn,B.B., Schroeder, R.G., & Sakakibara, S. (1994).A framework for quality management research and an associated measurement instrument. Journal of Operational Management,11, 339–366. 30. Gagnon, T., & Toulouse, J.(1996). The behaviour of business managers when adopting new technologies. Technological Forecasting and Social Change, 52, 59–74. 31. GAO Study (1991). Report to the House of Representatives on Management Practices, US Companies Improve Performance through Quality Efforts. United States General Accounting Office, Washington, DC. 32. Garvin, D.A. (1988). 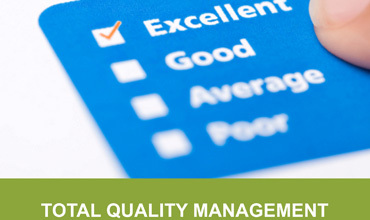 Managing quality: The strategic and competitive edge. New York: The Free Press. 33. Germain, R. (1996). The role of context and structure in radical and incremental logistics innovation adoption. Journal of Business Research, 35, 117–127. 34. Grant, R.M., Shani, R., & Krishnan, R. (1994). TQM’s challenge to management theory and practice.Sloan Management Review, 35(2), 25–35. 35. Haar, J.M., & Spell, C.S. (2008). Predicting total quality management adoption in New Zealand: The moderating effect of organizational size. Journal of Enterprise Information Management,21(2), 162–178. 36. Hair, J.F., Anderson, R.E., Tatham, R.L., & Black, W.C. (1998). Multivariate data analysis. Upper Saddle River, NJ: Prentice-Hall International Inc.
37. Hoang, D.T., Igel, B., & Laosirihongthong, T. (2006). The impact of total quality management on innovation: Findings from a developing country. International Journal of Quality &Reliability Management, 23(9), 1092–1117. 38. Hui, M.K., Au, K., & Fock, H. (2004). Empowerment effects across cultures.Journal of International Business Studies, 35(1), 46–60. 40. Hochiminh City. Ho Chi Minh City, Vietnam: Department of Science, Technology, and Environment, HCMC. 41. Ishikawa, K. (1985). What is total quality control? Englewood Cliffs, NJ: Prentice-Hall. 42. Joseph, I.N., Rajendran, C., & Kamalanabhan, T.J. (1999). An instrument for measuring total quality management implementation in manufacturing-based business units in India.Internal Journal of Production Research, 37, 2201–2215. 43. Juran, J.M. (1974). Quality control handbook (3rd ed.). New York: McGraw-Hill. 44. Juran, J.M. (1988). Juran on planning for quality. New York: Free Press. 45. Juran, J.M. (1989). Juran on leadership for quality: an executive handbook. New York: Free Press. 46. Juran, J.M. (1992). Juran on quality by design: The new steps for planning quality into goods and services. New York: Free Press. 47. Juran, J.M. (1995). A history of managing for quality: The evolution, trends and future direction of managing for quality. Milwaukee, WI: ASQC Quality Press. 48. Kim, W.C., & Marbougne, R. (1999). Strategy, value innovation, and the knowledge economy.Sloan Management Review, (Spring), 41 –54.Total Quality Management 949Kline, R.B. (1998). Principles and practice of structural equation modeling. New York: The Guilford Press. 49. Kruger,V. ](1996).How can a company achieve improved levels of quality performance: Technology versus employees? The TQM Magazine, 8(3), 11–20. 50. Kruger, V. (1998). Total quality management and its humanistic orientation towards organisationalanalysis. The TQM Magazine, 10(4), 293–301. 51. Kruger, V. (2001). 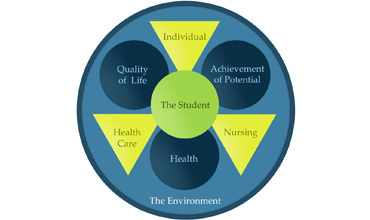 Main schools of TQM: ‘the big five’. The TQM Magazine, 13(3), 146–155. 52. Laosirihongthong, T, Paul, H., & Speece, M.W. (2003). Evaluation of new manufacturing technology implementation: And empirical study in the Thai automotive industry.Technovation, 23, 321 –331. 53. Loan, N.T.Q. (2004). Assesment of the quality management system of ISO companies. Economic Development Review, University of Economics, Ho Chi Minh City, No. 8–9. 54. McAdam, R., Armstrong, G., & Kelly, B. (1998). Investigation of the relationship between totalquality and innovation: A research study involving small organizations. European Journal of Innovation Management, 1(3), 139–147. 55. Millar, R.M.G. (1987). In foreword to J. Cullen & J. Hollingham. Implementing total quality.Bedford: IFS Publications. Ministry of Planning and Investment. (1999). Research report: Improving macroeconomic policy and reforming administrative procedures to promote development of small and medium enterprises in Vietnam. 56. Motwani, J. (2001). Critical factors and performance measures of TQM. The TQM Magazine, 13(4),292–300. 57. Noronha, C. (2002). Chinese cultural values and total quality climate. Managing Service Quality,12(4), 210–223. 58. Nunnally, J., & Burnstein, I.H. (1994). Pschychometric theory (3rd ed.). New York: McGraw-Hill. 59. Pinho, J.C. (2008). TQM and performance in small medium enterprises: The mediating effect of customerorientation and innovation. International Journal of Quality & Reliability Management,25(3), 256–275. 60. Powell, T.C. (1995). Total quality management as competitive advantage: A review and empiricalstudy. Strategic Management Journal, 16, 15–37. 61. Power, D.J., Amrik, S.S., & Rahman, S. (2001). Critical success factors in agile supply chain management.International Journal of Physical Distribution and Logistics Management, 31(4),247–265. 62. Prajogo, D.I. (2005). The comparative analysis of TQM practices and quality performance between manufacturing and service firms. International Journal of Service Industry Management,16(3), 217–228. 63. Prajogo, D.I., & Sohal, A.S. (2003a). The multidimensionality of TQM practices in determining quality and innovation performance – an empirical examination. Technovation, 24, 443–453. 64. Prajogo, D.I., & Sohal, A.S. (2003b). The relationship between TQM practices, quality performance,and innovation performance: An empirical examination. International Journal of Quality & Reliability Management, 20(8), 901–918. 65. Prajogo, D.I., & Sohal, A.S. (2006). The integration of TQM and technology /R&D management in determining quality and innovation performance. The International Journal of Management Science, Omega, 34, 296–312. 66. Pun, K.F. (2001). Cultural influences of TQM adoption in Chinese enterprises: An empirical study.Total Quality Management, 12(3), 323–342. 67. Rahman, S., & Bullock, P. (2005). Soft TQM, hard TQM, and organisational performance relationship:An empirical investigation. Omega, 33, 73–83. 68. Reed, R., Lemark, D.J., & Mero, N.P. (2000). Total quality management and sustainable competitive advantage. Journal of Quality Management, 5, 5–26. 69. Samson, D., & Terziovski, M. (1999). The relationship between total quality management practices and operational performance. Journal of Operations Management, 17, 393–409. 70. Saraph, J.V., Benson, G.P., & Schroeder, R.G. (1989). An instrument for measuring the criticalfactors of quality management. Decision Sciences, 20, 810 –829. 71. Sila, I., & Ebrahimpour, M. (2002). An investigation of the total quality management survey based research published between 1989 and 2000 – a literature review. International Journal ofQuality & Reliability Management, 19(7), 902–970.950 D.T. Hoang et al. 72. Silvestro, R. (1998). The manufacturing TQM and service quality literatures: Synergistic or conflicting paradigms? International Journal of Quality & Reliability Management, 15(3), 303–328. 73. Singh, P.J., & Smith, A.F.R. (2004). Relationship between TQM and innovation: An empirical studyJournal of Manufacturing Technology Management, 15(5), 394–401. 74. Sitkin, S.B., Sutcliffe, K.M., & Schroeder, R.G. (1994). Distinguishing control from learning in totalquality management: A contingency perspective. Academy of Management Review, 19(3),537–564. 75. Slater, S.F., & Narver, J.C. (1998). Customer-led and market-led: Let’s not confuse the two.Strategic Management Journal, 19(10), 1001–1006. 76. Spreitzer, G.M. (1995). Psychological empowerment in the work place: Dimensions, measurementand validation. Academy of Management Journal, 38(5), 1442–1465. 77. Steingrad, D.S., & Fitzgibbons, D.E. (1993). A postmodern deconstruction of total quality managementJournal of Organization Change Management, 6(5), 27–42. 78. Sureshchandar, G.S., Chandrasekharan, R., & Anantharaman, R.N. (2001). A conceptual model fortotal quality management in service organizations. Total quality management, 12(3),343–363. 79. Swamidass, P.M., & Kotha, S. (1998). Explaining manufacturing technology use firm size and performance usinga multidimensional view of technology. Journal of Operation Management,17, 23–37. 81. organizational performance. International Journal of Quality & Reliability Management,16(3), 226–237. 82. Terziovski, M., & Samson, D. (2000). The effect of company size on the relationship between TQM strategy and organizational performance. The TQM Magazine, 12(2), 144–148. 83. Tidd, J., Bessant, J., & Pavitt, K. (1997). Managing innovation: Integrating technological, market,and organizational change. Chichester: John Wiley & Sons Ltd.
84. Vuppalapati, K., Ahire, S.L., & Gupta, T.(1995). JIT and TQM: A case for joint implementation.International Journal of Operations & Production Management, 15(5), 84–94. 85. Watson,J.G., & Korukonda, A.R. (1995). The TQM jungle: A dialectical analysis.InternationalJournal of Quality & Reliability Management, 12(9), 100–109. 86. Wind, J., & Mahajan, V. (1997). Issues and opportunities in new product development: An introduction to the special issue. Journal of Marketing Research, 34(1), 1–12. 88. leaders. Managing Service Quality, 10(5), 318–331. 89. Yavas, B.F., & Rezayat, F. (2003). The impact of culture on managerial perceptions of quality.International Journal of Cross Cultural Management, 3(2), 213–234. 90. Zeithaml,V.A., Parasuraman, A., & Berry, L.L. (1990).Delivering quality service: Balancing customer perceptions and expectations. New York: Free Press. 91. Zeitz, G.,Johannesson, R., & Ritchie, J.E. Jr. (1997). An employee survey measuring total quality management practices and culture. Group and Organization Management, 22(4), 414–444. [1.] Arja, Isola; Leena, Paasivaara; Marjo, Suhonen; & Soili, Vesterinen. (2012). 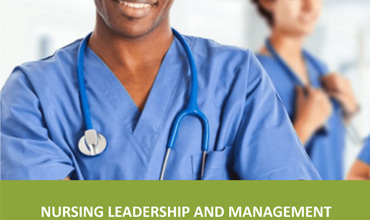 Research Article Nurse Managers’ Leadership Styles In Finland. Nursing Research and Practice. 2012, 1-8. [2.] A, Rego. R. Sousa’ M, Pina. e Cunha; & A, Correia. Saur, Amaral. (2007). Leader Self- Reported Emotional Intelligence and Perceived Employee Creativity: An Explanatory Study. Creativity and Management. 16 (3), PP250-264. Retrieved from doi: 10. 1155/2012/605379. [3.] D, Goleman; R, Boyatzis; & A, McKee. (2002) Primal Leadership Realizing the Power of Emotional Intelligence. Harvard Business School Press, Mass USA.